Peter Lynas, group finance director of defence firm BAE Systems, disposed of 10,525 ordinary shares in the firm on Friday, for a total of £62,255, to satisfy the income tax and NIC liability resulting from the exercise of options under the firm's Long Term Incentive Plan . Lynas, who has been in his role as finance director since April 2011, sold the shares on Thursday at an average price of 591.50p each, retaining 8,705 shares, the company said in a statement. Just the day before, BAE Systems launched a £10m investment programme in order to fund upgrades at its Hampshire- based Maritime Integration and Support Centre (MISC) - a specialist facility that provides support to Royal Navy warships when researching its future combat systems and technologies. 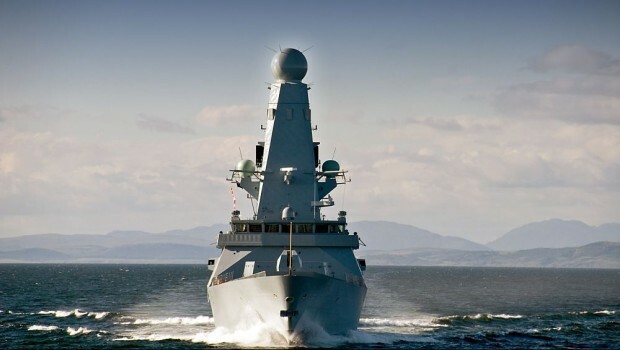 BAE Systems' £10m investment will fund its research of new technologies such as artificial intelligence, information and electronic warfare, unmanned vehicles and new weapons and as a result of the funding, the MISC will receive new facilities including a visualisation suite capable of displaying live tactical data from any Royal Navy warship anywhere in the world, further enhancing warship support. As of 1520 BST, shares had ticked up 0.37% to 593.80p.